The world of digital forensics offers many useful and practical techniques for capturing, understanding and preserving digital collections. This OPF Hackathon will provide participants with a chance to learn about what digital forensics has to offer to the digital preservation community by getting hands on with data, tools and new techniques. Our expert facilitators will be on hand to guide you through these challenging concepts and processes in a manner that is easy to understand and apply. The agenda for the event is set by you: the practitioners. You will bring with you disk images of digital data you want to assess, analyse and preserve. As part of a team, and with support from experts, you'll apply forensics tools to solve your digital preservation challenges. The best way of learning practical preservation skills is by getting hands-on experience of actually doing it. By the end of the event you'll have solved your preservation challenges, learnt new skills you can take back to the office/library/archive, and will have become part of a supportive community of digital preservation practitioners. The technical problem solving and software development will be delivered by you: the developers. You will bring with you your laptop-based development setup and your best coding skills. Working closely with other devs, and our experts, you'll apply forensics tools, emulation and virtualisation, and other software tools (you've scripted up, hacked and enhanced) to solve the digital preservation challenges provided by the practitioners. By the end of the event you'll have provided the technical drive to solve some challenging preservation problems, experienced the freedom of agile development, and will have become part of a supportive community of technical experts. Our previous hackathons have brought together a host of slightly apprehensive archivists, librarians, practitioners, developers (and many more), and left them walking away with the confidence to continue working in a collaborative way with their fellow digital preservation conspirators. We break down the communication barriers between technical and non-technical digital preservationists, and help them to become more productive by helping each other. This is a participation-only event! No observers, no passengers. This is also a 100% inclusive and super friendly event. We leave no person behind! 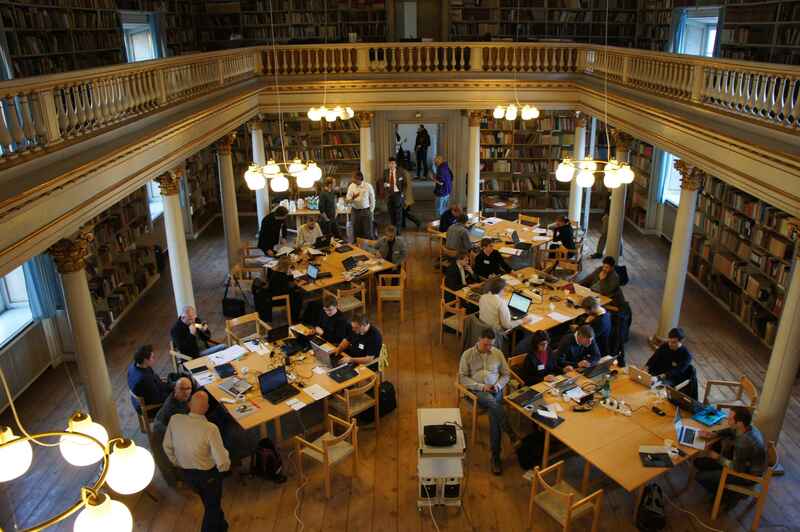 Agenda - Disk Images and Digital Forensics (Copenhagen) provides full details of start and end times, as well as key sessions we will be running. A more detailed agenda will be available closer to the event. Registration is open at: http://opf-digital-forensics.eventbrite.com/ . Members are invited to attend free-of-charge. Non-members are welcome to attend at a charge of EUR225. The registration fee includes lunch on 15th & 16th and coffee and refreshments during the event. Digital preservation practitioners; digital librarians and archivists, digital curators, repository managers and those with an interest in understanding and working as a team to solve concrete preservation challenges. Developers who write digital preservation software, and are interested in the technical challenges of solving concrete digital preservation challenges. Check out this checklist on what you need to prepare and bring with you to the events. A taxi from the airport to the city centre should cost between DKK 200-250 (~ EUR 25-35). Taxis usually take international credit cards, but check with the driver to be sure. A cheaper and almost as efficient way to get into to town is by train or metro. Both leave at regular intervals from the airport. For guests staying at Best Western City, it's easiest to take the metro from the airport to 'Kongens Nytorv' (The Kings New Square). The hotel is a within 4-5 minutes walking distance from the Metro.